When Greg and I started blogging in 2011, pretty much everyone except my parents thought we were nuts. Since we had full-time jobs and earned plenty of money, most people in our circle couldn’t understand our desire to do more. In reality, we chose to pursue an online side hustle because we were desperate to build a business that would someday help us leave our jobs. I guess we were onto something, because just six years later we’re self-employed, earning multiple six figures, and barely getting dressed each day. Still, the concept of the side hustle has changed over the years. Where we were once the only #hustlerz around, it seems like everyone and their mother is slinging body wraps or driving for Lyft these days. I kid you not, I cannot jump on Facebook for five minutes without being invited to an online mascara party or a “life-changing” opportunity to “build my own business” by someone who clearly doesn’t know my life. Sometimes it makes me laugh, but there are times when I would rather cry. While there are a ton of people who could benefit from a side hustle, there are just as many who need a side hustle like they need a case of Chlamydia. What if You Don’t Need a Side Hustle? Case in point – my awesome friend. A few months ago, one of my amazing girlfriends told me she was ready to get out of debt and get her family on solid financial footing. That’s great and all, except for the way she wanted to go about it. According to this gal, she needed a side hustle. I almost died on the spot. This woman already earns six figures and is just as busy as I am. From there, I said she should add up all her debts one by one. Once she figured out a way to spend less on food, entertainment, and miscellaneous, she could start diverting those funds toward her credit card bills for faster debt repayment. 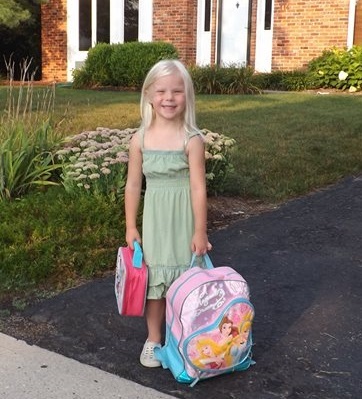 Chances were good that she would get a much better return on her time using a budget than she would earning money in her spare time. After all, a penny saved is a penny earned, right? If she could cut her spending every month, she would score an automatic raise. Remember, not spending money dining out and buying crap is just as good as earning it on the side. As long as you keep that cash in your pocket, it’s the same thing. There are a ton of people just like my friend in this world. They make a decent amount of money, spend it all, then think more money is the answer to their problem. Let me say this loud and clear for all the people in the back: If you’re earning plenty of money and wasting it all, more money cannot help you!!!!!!!!!!!!! #1: You have no idea how much you spend each month. If you have no idea how much you spend every month, then why on Earth would a side hustle help? You’re clueless about how you spend the money from your real job. For all you know, you’re wasting hundreds or thousands of dollars on craziness every month. Before you pick up a side hustle, take some time to track your spending. Figure out how much you’re forking over for groceries, dining out, entertainment, and fun, then see if there are places you could cut. If so, the amount of money you don’t spend could easily be enough to give yourself a big raise without the extra work of a side job. #2: You should earn plenty of money to pay your bills. If there’s one thing I’ve noticed from living in an affluent area, it’s this: A lot of high income people think they’re great with money just because they never really “run out.” They spend like madmen and waste half of their labor on crap, but the checks keep rolling in so it’s probably fine, right? Wrong. If you’re a high earner yet still feel like you need to pick up another job, you definitely have a spending problem. #3: You’re on the “no budget” budget. A lot of people who think they’re on a budget are simply fooling themselves. I’ve had people tell me, “yeah, I use a budget” but then have no idea how much they spend at the grocery store or how much they save every month. If you don’t have a vague idea of your average spending in most categories, you are not on a budget, my friend. You are simply saying you are to make yourself feel better. Before you pick up a side hustle to earn more money, get on a real budget. Our favorite type is the zero-sum budget because it encourages you to “spend every dollar” on paper. 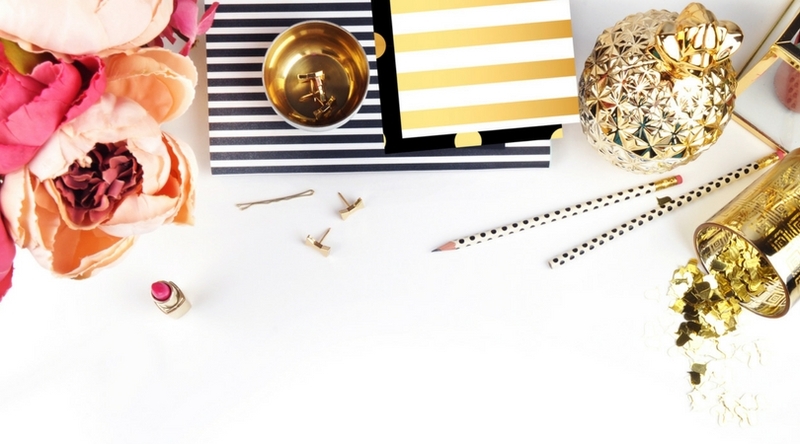 You may not a side hustle; you may just need to get your priorities straight. #4: You dine out more than once per week. If you dine out more than once per week, don’t even talk to me about a side hustle. How much are you spending at Outback Steakhouse or your favorite sushi place? Just stop going and you can pocket that money instead. From now on, your side hustle is NOT EATING OUT. You’re welcome. #5: You’re dreaming up ways to spend money now – at this moment. I know a lot of people who want to get out of debt but also want a new car and a new back deck and a vacation to the Bahamas. Please, try to do one thing at a time. You cannot possibly pay off debt if you’re also saving up for a motorcycle and planning a Caribbean vacation with bae. Just stop it. Instead of getting a side hustle, stop dreaming up more ways to spend money. Hold on tightly to the money you have, and throw it at your debt so you can finally change your life. If you have no idea how much you spend every month, a side hustle is probably the last thing you need. Instead of working more, spend some time figuring out where your money is going in the first place. After you track your spending for a while, you might be surprised to find out you’re spending boatloads of money on stuff that’s not even important. While selling scented candles or vitamins may sound like a great way to earn some cash, side hustles aren’t the silver bullet they’re made out to be. If you’re struggling with money, more money may be the last thing you need. Think about it. Would you rather have the freedom to spend all you want, or the freedom to live how you want? Personally, I’ve found that life is easier and more fulfilling when you have a budget in place and some control over your spending. Here’s the truth: Freedom from debt feels better than anything you can buy at the store. Take some time to look at yourself and your life. Chances are, you already have the money you need to get ahead. This is a good point! I think too often we default to, “Oh, I’ll get a side hustle,” because we can’t think of other ways to increase our savings rate. There’s usually something to cut in the budget, first of all. And second, if you’re able to increase your earnings at your full-time gig, it’s more time-efficient anyway. I do have side hustles, but I do them because I would happily do them for free; they make me happy and I just so happen to make money off them. That’s the ticket! I have side hustles, too…for the same reason! You’re spot on! It’s like the adage: you can’t out exercise a bad diet. Well, you can’t out earn poor spending habits. I’ve seen people broke at every income level. And I’ve seen people save at every level. Until they plug the leaks in the spending, adding more water won’t help! Love this analogy! So true on both counts. I used to fall into this trap except I never was a high earner. I finally knuckled down, found a good job that pays a decent salary and made up my mind to stick with it no matter what. Tracking spending and paying down debt were the ways to go for us. We just recently refinanced our mortgage, cutting 5 years off and lowering our interest by almost half. Next goal is to pay off student loan by end of year. Not much left on it so should be doable despite the holidays (and gift buying). Also love this post. Have you done online surveys? A lot of people make some side cash doing those? How about becoming a proofreader? Great points here, Holly. I’m lukewarm on a side hustle as we make “enough” and don’t like the ROI on additional time spent at this point. Plus, any new endeavor will be taxed at a higher marginal rate. Timing is the key for us. As of right now, we need more time more than we need more money. And for people like you noted, who already make enough but aren’t keeping it, they have an organizational or spending problem, not an income problem. Agreed. Side hustles can only work if you’re in a place where your ROI makes sense. For people who spend like crazy, it’s rarely the best use of time. I agree wholeheartedly with stop buying so much crap! All things considered, budgeting is the way to go. Eating out frequently can kill anyone’s budget. We are going back into our eat at home, then go out to do some free event mode. Even though if we eat put twice a month, that is a lot for us. Still working on paying off debts, from cars, to student loans, to medical bills. It can be done! Dining out is a budget killer. The people who refuse to admit this are the ones who want to eat out 3-5 times per week. Save your money and put it to work instead. It sounds like you’re doing things right! I think everyone can benefit from a side hustle, but yeah, not everyone actually needs one. The sad part though is, even if many people spend much more than they should, they might not be aware of it. Or know how to stop. Or even stop to think how much effort a side hustle actually implies. When I started taking blogging seriously, I started telling everyone about my new “hobby”. I kid you not, no one understands why blogging takes time and effort. Especially if you’re ‘using’ it to earn a side income. Well said Holly Johnson! Every formerly wealthy bankrupt lottery winner would probably agree. More money alone won’t solve over spending. In a world with so many financial bloggers it is challenging I imagine to present your message in a fresh way. This post did that so well! I appreciate what you do, reading this I couldn’t help but think that your message surely hit some people right between their eyes who needed to hear it. Yes to this! I have so many friends who think their problem is income, and refuse to take a look at their spending. I’m all about side hustling, but it’s definitely not for everyone. Also, the MLM “side hustles” that a lot of (mostly) women I know do end up pushing them farther into debt. Great post! 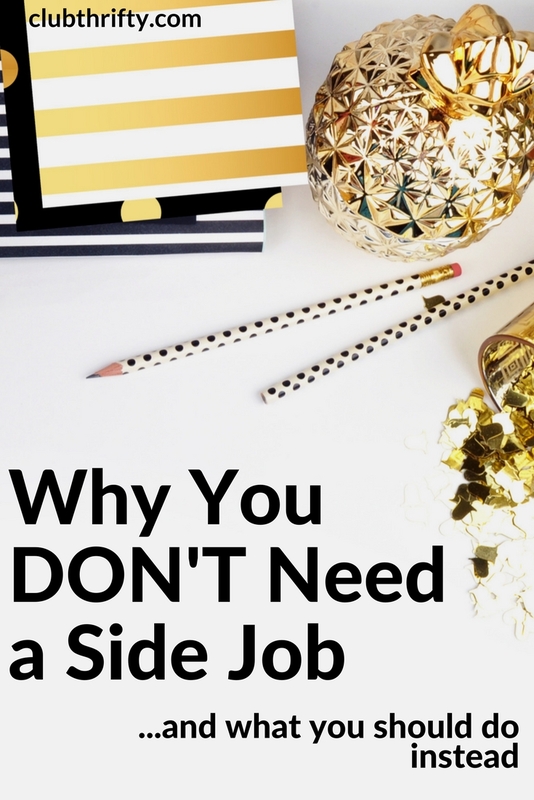 While I think side hustles can be beneficial to everyone, you are right that not everyone needs one. The first step is to always monitor your spending. It’s always funny because I find several people spend like mad on food every month and really have no idea. Because as you said, the checks keep coming and they never really “run out” so it doesn’t seem like a noticeable problem to them.